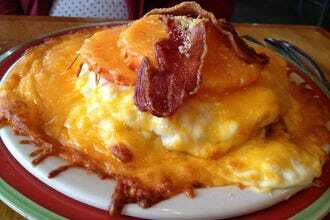 Unlike many iconic American sandwiches, there is absolutely no doubt as to the origin of the Hot Brown. In fact its name includes its origin. It was originally created at the Brown Hotel in Louisville as an alternative to a ham and egg late night supper by Fred K. Schmidt in 1926. It is an open faced sandwich with turkey and bacon covered in a Mornay sauce (cheese sauce) then broiled until bubbly and brown. Wild Eggs prides itself on serving food that is as refined and beautiful as fine dining but at affordable prices. Their version of the hot brown is called the Kelsey “KY” Brown and includes toasted sourdough bread, roasted turkey, Applewood-smoked bacon, diced tomato, white cheddar Mornay sauce and smoked paprika with the surprise topping of a perfectly fried egg. 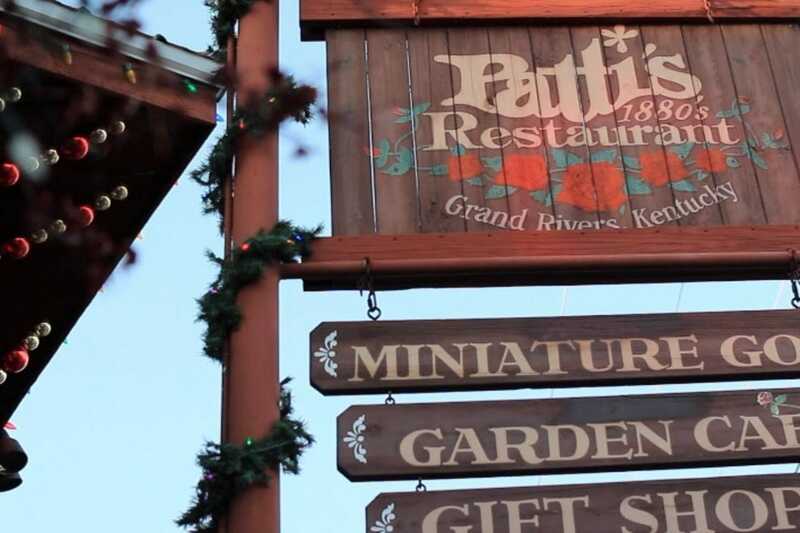 Patti and Bill Tullar stopped in Grand Rivers and fell in love with the little town and in 1977 opened a small restaurant with only 20 seats. 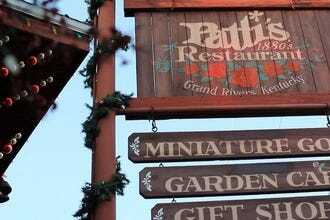 They now have 400 seats and people come from far and wide for the Patti’s experience. Patti's Kentucky hot brown is made with toasted house made bread layered with black forest ham and mesquite smoked turkey with sliced tomato. It's then smothered in house made cheese sauce and baked. They offer a variation called the “Patti Brown” which is made with a half-pound burger and sautéed mushrooms. In the 1920s, the Brown Hotel drew over 1,200 guests each evening for its dinner dance. By the wee hours of the morning, guests would grow weary of dancing and make their way to the restaurant for a bite to eat. Sensing their desire for something more glamorous than traditional ham and eggs, Chef Fred Schmidt set out to create something new to tempt his guests' palates. His unique dish? An open-faced turkey sandwich with bacon and a delicate Mornay sauce. The Hot Brown was born! The traditional version created at the Brown Hotel uses Texas Toast as the base with sliced Turkey (no ham), hand torn turkey and tomatoes baked in the oven then topped with a cream-based Mornay sauce, broiled and served with two slices of bacon. Ramsey’s was first opened in 1989 and now has four locations and a pie stop. 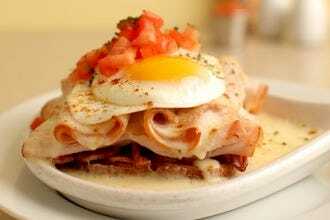 Ramsey’s version of the Hot Brown has its own twist. Toasted bread is topped with turkey, ham, tomatoes and a cream sauce, then gets covered with shredded cheddar and parmesan cheese, broiled and topped with bacon. Rather than mixing the cheese into the cream sauce to create the typical Mornay, Ramsey's adds the cheese separately to create separate layers of gooey deliciousness. Stella’s mission is to produce simple, high quality foods that emphasize the superior flavors and textures of fresh, local ingredients. Stella’s Kentucky Deli has a hot brown sandwich on their lunch menu, but at dinner they serve it up with mashed potatoes. 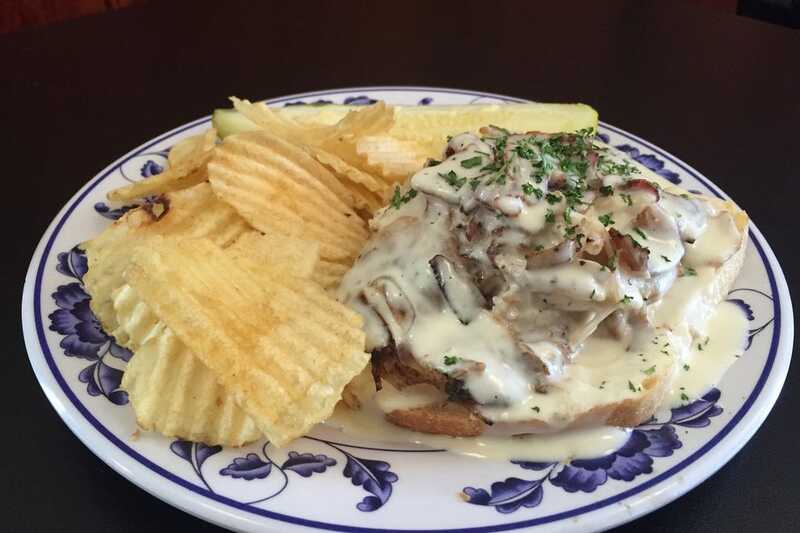 Their version is true to the original – an open faced turkey, bacon and tomato sandwich with Mornay sauce. Legions of loyal customers and friends have been coming to The Café since 1996 for the ample portions of fresh, home-cooked food. 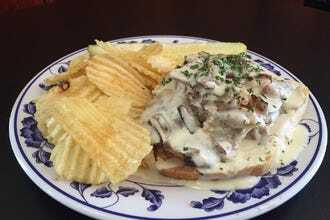 True to its Kentucky roots, The Cafe serves the Louisville tradition – roasted turkey breast smothered in a velvety Mornay sauce and crisp bacon and garnished with toast points and sliced tomato. One of the newest nominees, Winchell's was started by Abe Lansdale and Graham Walker, two Lexington natives who attending the Culinary institute of America before returning to open their own restaurant and sports bar. The Winchell's hot brown is served with roasted turkey and shaved country ham on toast points with a Mornay sauce, shredded cheddar and parmesan cheese. It's topped with bacon and tomato. 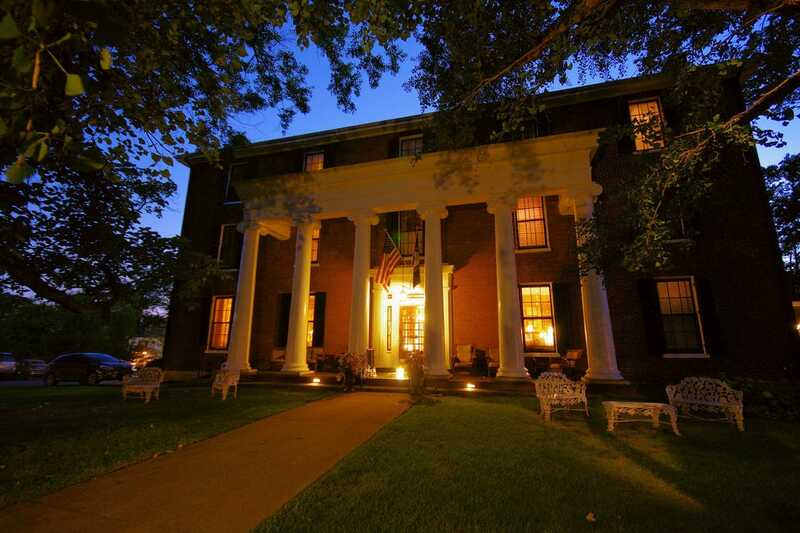 The Beaumont Inn is the oldest family operated bed and breakfast in Kentucky. 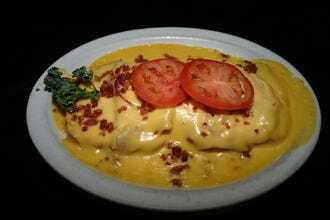 Their version of the Hot Brown includes toast points, sliced turkey and shaved ham topped with a Swiss cheese Mornay sauce baked to bubbly goodness and garnished with sliced bacon and tomatoes. 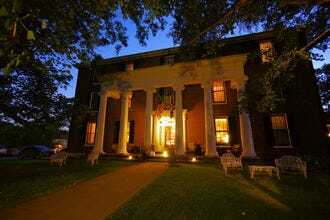 Gary’s on Spring is a casual fine dining restaurant set in a beautiful two story brick building dating back to 1885. Don’t let the name fool you – the Baby Hot Brown on the appetizer menu at Gary’s is plenty big enough to share. This version is very close to the original. 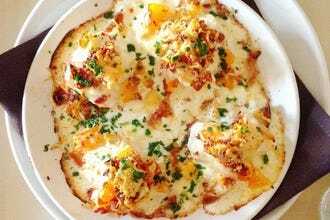 Toast points are layered with thick turkey breast and smothered in mornay sauce made with cream and parmesan cheese, then topped with diced tomato, bacon crumbles, more parmesan cheese and baked until bubbly and browned. The Whistle stop started as a small sandwich shop in 1975 and has expanded to a restaurant with over 100 seats and a focus on made-from-scratch Kentucky favorites. 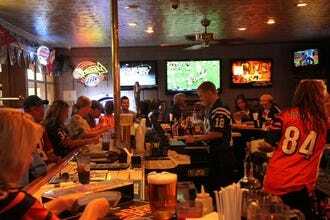 They are consistently recognized as one of the best non-franchise restaurants. and one of their house favorites is the Hot Brown. Their version has thinly sliced ham and turkey served on a bed of sliced bread with homemade cheddar cheese sauce, real bacon crumbles and sliced tomato. 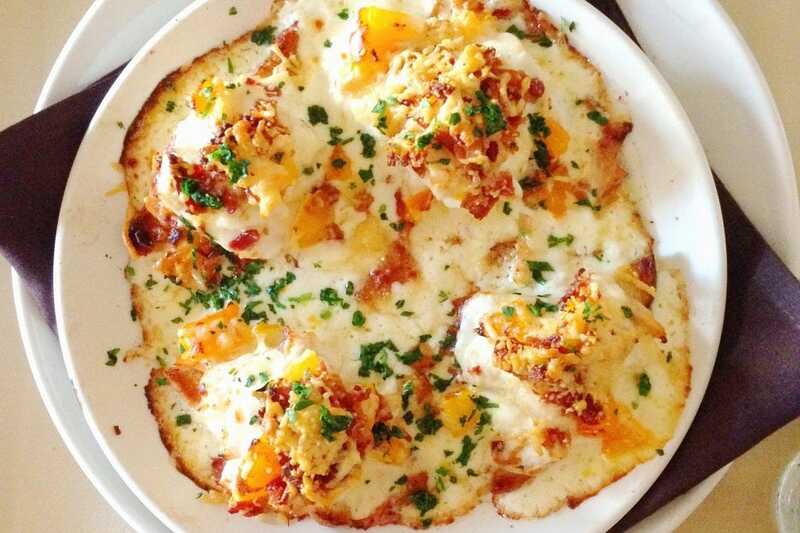 We asked our readers to help pick the state's best versions of the hot brown from a pool of 20 nominees. After four weeks of voting, the results are in, and the original creator of the sandwich has been dethroned! A panel of experts picked the initial 20 nominees, and the top 10 winners were determined by popular vote. Experts Alan Cornett (Eat Kentucky) and Jere Downs (Louisville Courier-Journal) were chosen based on their familiarity with the Kentucky food scene. Other restaurants nominated for Best Hot Brown included Bluebird in Stanford, Dudley's On Short in Lexington, Goose Creek Diner in Louisville, Historic Boone Tavern Hotel & Restaurant in Berea, Josie's Restaurant in Lexington, The Merrick Inn in Lexington, The Parkette Drive-In Restaurant in Lexington, V-Grits in Louisville, Wallace Station Deli in Versailles and Zanzabar in Louisville. Congratulations to all our hot brown winners! 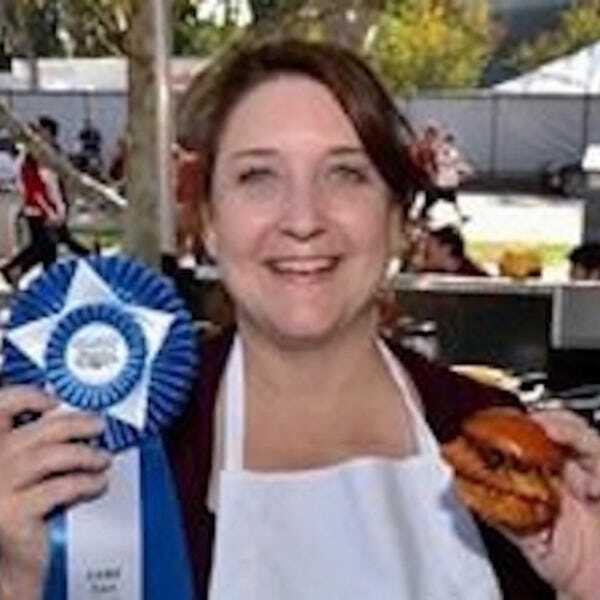 After winning the World Sandwich Championships, Jennifer took her love of America’s first and still favorite “hand held device” better known as the sandwich, and founded Sandwich America, America’s comprehensive sandwich driven meal occasion platform. Jennifer believes that “a sandwich is the only food genre that is good for breakfast, lunch, dinner, dessert, or a snack.” Jennifer has won numerous cooking competitions and is a restaurateur, wine sommelier, award winning food photographer, TV food personality with NBC Affiliate WFLA in Tampa and appeared on FYI’s original series World Food Championships. She looks forward to embarking on The Great American Sandwich Trail this summer. Socialize with Sandwich America on Facebook, Instagram and Twitter. 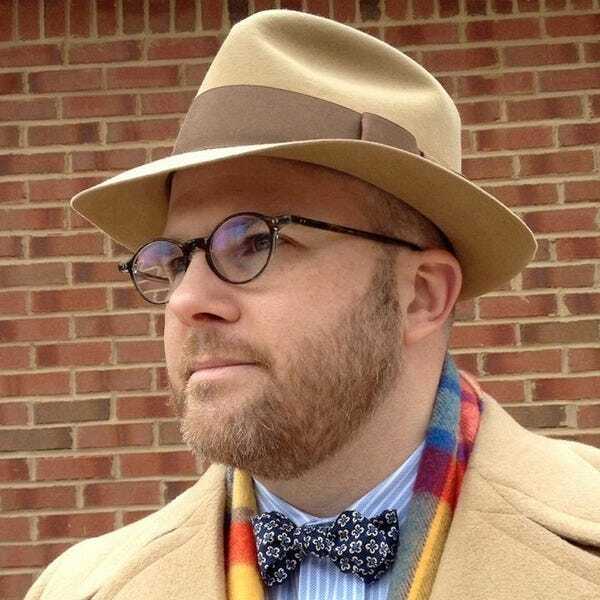 Jere Downs is a native of Detroit and a graduate of the University of Michigan and the Columbia University Graduate School of Journalism. Her bachelor's degree in French helped land her first journalism job at the International Herald Tribune in Paris, France, in 1989. She then worked in Wasilla, Alaska, on the Frontiersman newspaper in 1991, before Sarah Palin was a political figure. Downs was on the New York Times team that won a 1994 Pulitzer Prize in Spot News Reporting for coverage of the 1993 bombing of Manhattan's World Trade Center. 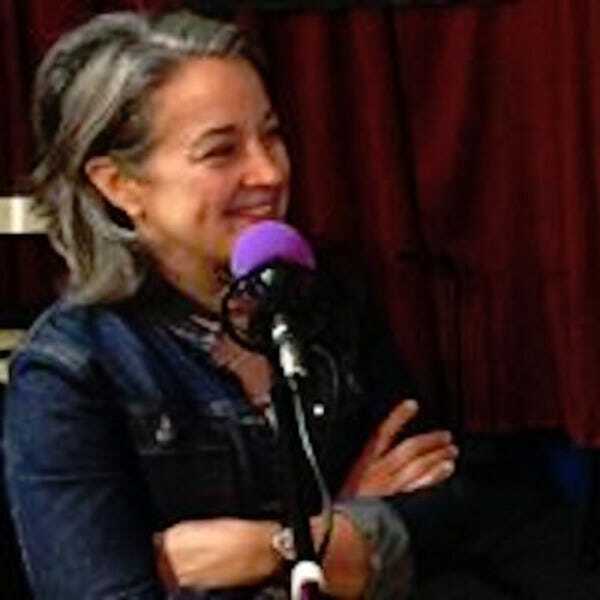 She joined the Philadelphia Inquirer in 1993, and went on to report from Washington, D.C., during the impeachment of then-president Bill Clinton and as a foreign correspondent based in Jerusalem in 1998. Downs has been with the Gannett-owned Louisville Courier-Journal since 2007. She writes about food and the sustainable economy movement. Terry French, The World’s Extreme Chef, has cooked in 86 countries and traveled around the world 8 times. His global-to-local cuisine perspective and belief that “ hand-held ” food is the carrier of food culture may seem in stark contrast to his being born and raised in Evansville, Indiana. But diversity and uncommon is Terry defined. 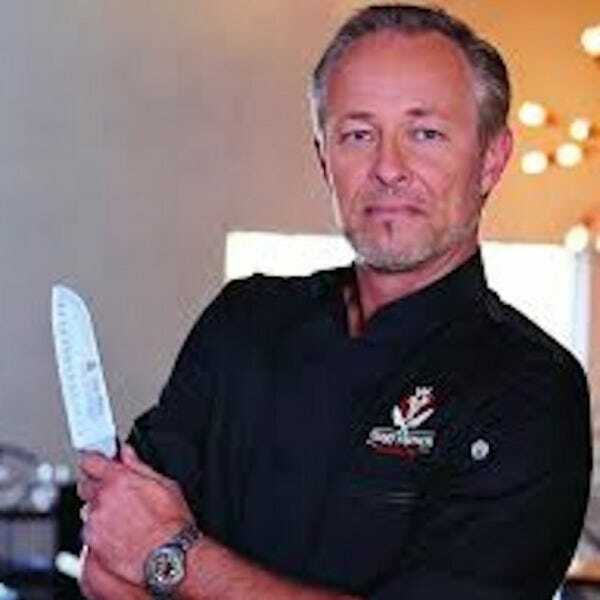 Winning Food Network’s World Extreme Chef in 2012 celebrated his amazing and adventurous life and his “French’s KISS” belief to food – Keeping it simple and sustainable. From Ice fishing with his father and cooking with his mother as a boy to hosting Taste Asia in Times Square, Terry French makes every meal a cuisine adventure. Terry believes that “Hand-held foods and sandwiches are the global cuisine language. From Thai street food to Philly cheese steaks – the world eats with our hands for centuries and now more than ever”. Follow Terry’s Extreme Chef adventures on Facebook and Instagram .